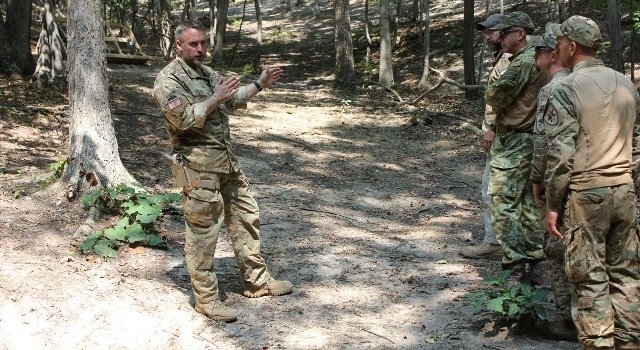 I’m looking for some feedback on the MVT Squad Operations Tactical Seminar: Manassas – January 24/25 2015. I ended up cancelling this class because there was not enough interest to justify booking the conference room at the hotel. This class was a direct response to student requests, but once scheduled, did not garner the interest I expected. Organizational/leadership/planning exercises/seminars had been requested and the online exercises I had been doing were very popular. The January/February winter months are slow for people wanting to get out and train (see above) and we thought a conference room would be a lot more comfortable. This type of training is important. This does show that, although I know that training is important, I can’t make people do it. This is not a military training organization where we can require people to show up. Civilian training is a business and it is entirely voluntary. If there is no demand for this type of training, it simply won’t happen. There are a number of new classes in the offing and I have posted about them HERE. It may have escaped people’s attention that I initially proposed the III Rifleman Challenge and it has since become the MVT Rifleman Challenge. There have been some questions on the forum about who and what the III% is, and who is who HERE. Also asked in that thread is whether MVT has an affiliation with any of the particular groups calling themselves III%. The answer is no. I had proposed the III Rifleman concept in order to try and push standards and professional training across the armed civilian spectrum. I was disappointed when the group of trainers associated with the III% Society for America, who had asked me to come on board as a senior policy adviser, did not show interest. Lead by example. So I have simply forged ahead with the concept as the MVT Rifleman Challenge, and it is shaping up as a really good training challenge that will bring some real identifiable standards to those who achieve the patch. You get to do some really good tactical fitness, shooting, and some excellent skills training to standard. This is the real deal. I still hope the concept spreads, but until it does, we will run it at MVT. Lone voices in the wilderness! Do you consider yourself part of the III%? A proud American Patriot ready to defend hearth and home against all threats? A proud armed civilian with the physical and combat skills readiness to act as part of the unorganized militia when called upon? Are you former military, a combat veteran, but out of shape and the skills need dusting off? Are you an individual looking to link up with the Max Velocity Tactical network? Are you are small team looking for some real effective professional training? Combat 2 Gun (C2G) – this is the inaugural C2G class, Feb 6 – 8 (Fri – Sun)! Combat Team Tactics/Mobility Class, Brady Texas Feb 18-22- this private class was opened up to open enrollment. There are up to 4 spaces left available on this class. Come fight in the bush country of Texas, dismounted and vehicle mounted! Mar 27 – 29 (Fri – Sun): MVT Rifleman Challenge (RC) – this Challenge is designed as both a series of physical and skills test events to establish real rifleman standards, blended with instruction – including Tactical Clearance (CQB). Come test yourself against the standard, earn the patch, and enjoy a challenging weekend with like minded folks. You talk the talk, but can you walk the walk? When the hammer falls, the MVT Rifleman Patch will be a recognized symbol of competency. Got yours? Tactical Fitness Training Plans: 12 weeks to the MVT Rifleman Challenge: for the first challenge, this plan begins on the 5th January! ALSO is the Spouse/significant other issue – I gotta tell her we can’t take our romantic vacation to Dollywood until the fall-I’m goin’ to MVT again. That’s probably the most daunting obstacle. I know one on one/classroom instruction is best, but could you do this class via Webinar or on DVD? I don’t know anything about producing either(more stuff on your plate, Max! ), but you could maybe offer one of those at a lower price point, and still impart some valuable information at a level a lot of folks could more easily afford – minus logistical expenses. I for one would love more info/training, but I must prioritize. Hello Sb, She has been there on the volunteer weekend. She camped like a trooper, but training is another thing altogether. One step at a time. If you and Redcoat are who I think, we did CRCT together. Jim fm. G’boro. Hope you guys got to do a Patrol class. Awesome. I’m training as well. Those thirty something degree days are perfect for rucking and running. Hope to see you guys at the challenge. No doubt Max will confirm NO book or DVD is a substitute for actually attending class but having said that and considering the financial aspect of actually training “on site” do wonder if would be possible for Max to produce and sell DVDs. The price should reflect his experience, skill, and expertise so it if produced it wouldn’t be cheap yet it would offer more information to more people. So would a $200.00-$250.00 per DVD per class price tag be too much for the public or too little for what Max is offering? Just a thought. Will there be more MVT Rifleman challenges in the future? Perhaps a summer or fall challenge? Probably spring and fall, for weather. Hey Max,I was definitely interested in the MVT Squad Operations Tactical Seminar, but couldn’t commit far in advance due to work schedule and weather outlook.It is a great idea,that you shouldn’t discard. As someone else stated it is a costly weekend with travel expenses, but would be well worth it. As a suggestion, that course should be a required class for the next MVT level of advance instruction for Squad leader patch or something similar. It is possible that most folks including myself are saving up and training for the challenge weekend. But, like most others here I just couldn’t get the funds together for a follow up trip after CTT. Maybe the lack of response was due to time of year? I mean, it makes sense to have it now, but A)it’s coming at the end of most folks’ training year (and after Christmas), and B) while the weather makes it good timing, at the same time, there is that chance of having to make a multiple hour drive in winter weather…. I’m a big fan of kydex there’s a number of great manufacturers out there that you can order from. Other than that I love Safariland and their ALS systems but the older 6004 SLS is still a great option. I recommend copsplus.com they have the best prices and make the otherwise confusing safariland model number system very easy. I also won’t lie about my love for Beretta. I may have to hold yours once or twice. Maybe I’ll switch up too. Who can say? It’s a good pistol. Are there 2 slots available for Combat 2-Gun on Feb 27? Also, are there 3 slots still available for CTT on March 13?